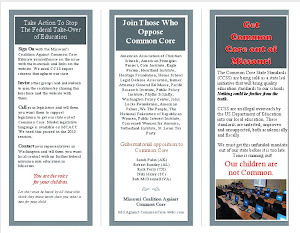 Missouri Education Watchdog: Common Core: What is the Political Significance? 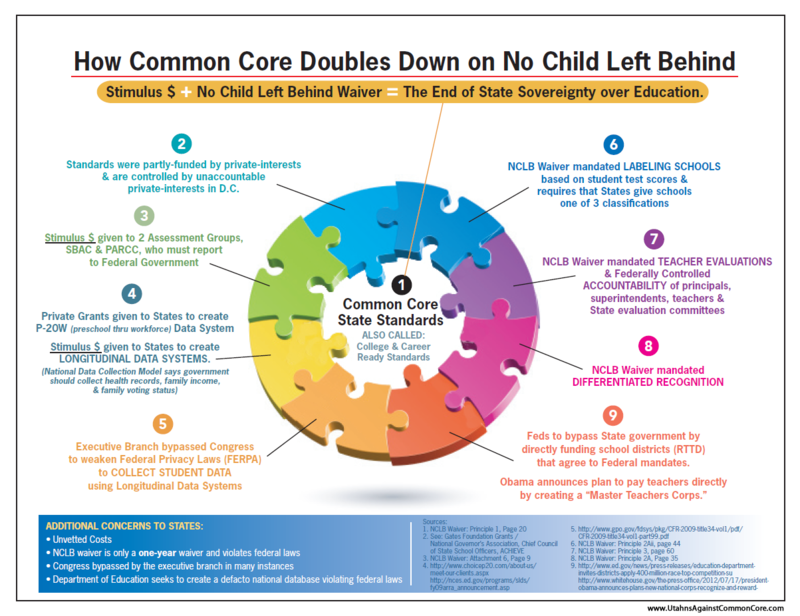 Common Core: What is the Political Significance? For the first time in American history, states have reportedly adopted a common “understanding of what students are expected to learn, so teachers and parents know what they need to do to help them.” States have joined one of two assessment “consortia” developed to assess achievement of the goals embodied by those standards. Taken as a whole, this is known as the Common Core State Standards Initiative. In fact, in the year 2007, there was no talk of common core standards, and previous attempts and developing “national standards” (e.g., promoted by Diane Ravitch) had been deemed “politically dead”. Six years later, such standards have not only been developed, they have been adopted by all but five states (Texas, Virginia, Alaska, Nebraska, Minnesota). Now a frenzied effort by a host of interconnected private interests and public officials are revamping K12 curriculum and assessment like never before. Few would have predicted that early in the 21st century the United States would adopt something resembling a national curriculum, given its long standing commitment to “local control” and “state’s rights.” Of course, there is a long history to the increasing involvement of the federal government in education, dating all the way back to the Morrill Act, Smith-Hughes National Vocational Education Act, National Education Defense Act, not to mention Civil Rights rulings and legislation, and the recent saga in the growing federal role, No Child Left Behind (NCLB). Yet, I do believe that the CCSSI is more “revolution” than “evolution.” Such broad support from a variety of quarters for something anathema to the American creed is intriguing. The development suggests a radical change in the roles of federal, state and non-public entities in governing education. Official press releases, news and commentary about the CCSSI remains narrowly focused on whether or not, and mostly how, this initiative will improve education. Much attention is being paid to certain technical details of implementation, and getting “everyone on board.” And for the most part, critics of the CCSSI simply argue that the initiative will not improve the quality of schooling in the United State. Despite the obvious shift in how schools are governed, few seem to entertain the governance question. What is missing, then, is an analysis of how the CCSSI affects and reflects changes in governance — not just of education, but governance in general. Put differently, even if the CCSSI fails to improve the quality of education, what lasting changes in the United States system of governance have already taken place as a result of the CCSSI? Has decision making power over curriculum and assessment changed? Who now holds that power? What is the political significance of these changes? 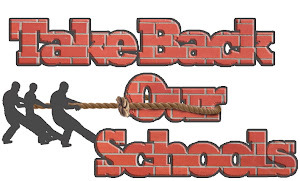 What is the significance of such change occurring through the restructuring of public education? What functions was public education to perform and how are these functions changed with the arrival of the CCSSI? Maybe the federal government used (illegally) its power to remove components of the governance of public schools from public authorities at both the federal and state levels? Thus, one preoccupation will be to isolate the role of the USDOE and other federal authorities in bringing about the CCSSI and how these roles change federal power and influence. Read the article here. He entertains questions about the role of public/private partnerships and the changing power structures in education. So I'm not the only one who goes back to the Morrill Act! He's definitely on the right track here, the whole point of CCSI, as has been the point behind the school reforms of the early 1900's when leaders like Cubberly enthused that “Each year the child is coming to belong more to the State and less and less to the parent.”, and on back to Morrill, the point has been to reshape society. Centralizing power away from parents to more and more distant authorities, is profoundly political and disconnects families from the one everyday political connection they used to have in common with their local community. And when people feel the authority is too distant and too unresponsive, they stand by and say nothing. Common Core Crashing in Florida? The True Goal of Common Core?